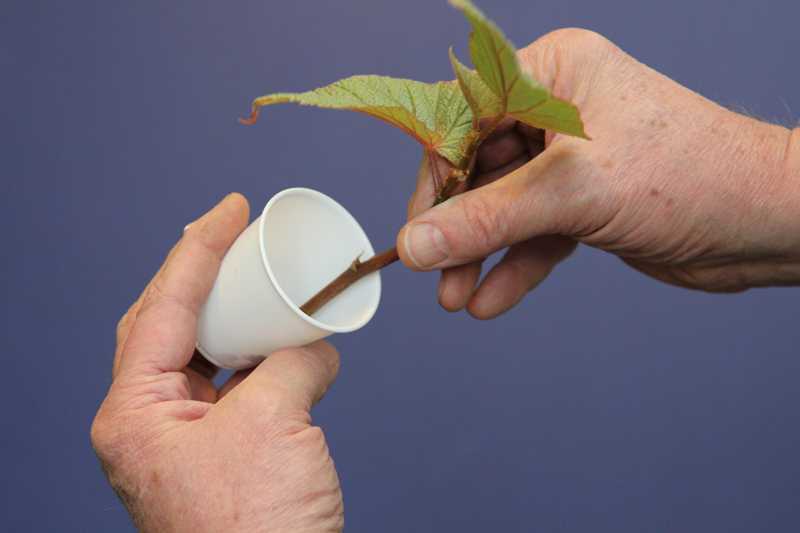 Propagating plants from cuttings is one of the easiest and most used methods of propagation. Many plants will root from just a section of a plant. 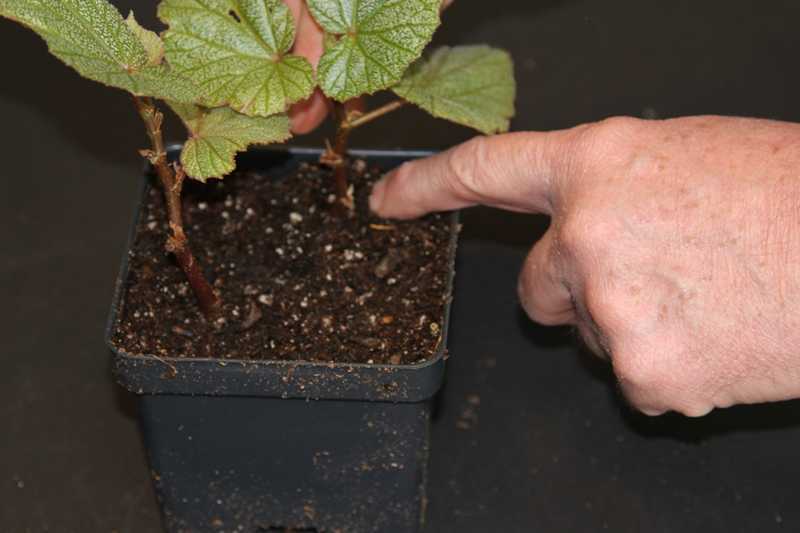 Some plants will root in water, but cuttings will develop a better root system when rooted in a soil-less potting mix. Sand or perlite can also be used, especially for cuttings that need good drainage and may rot if kept too wet. 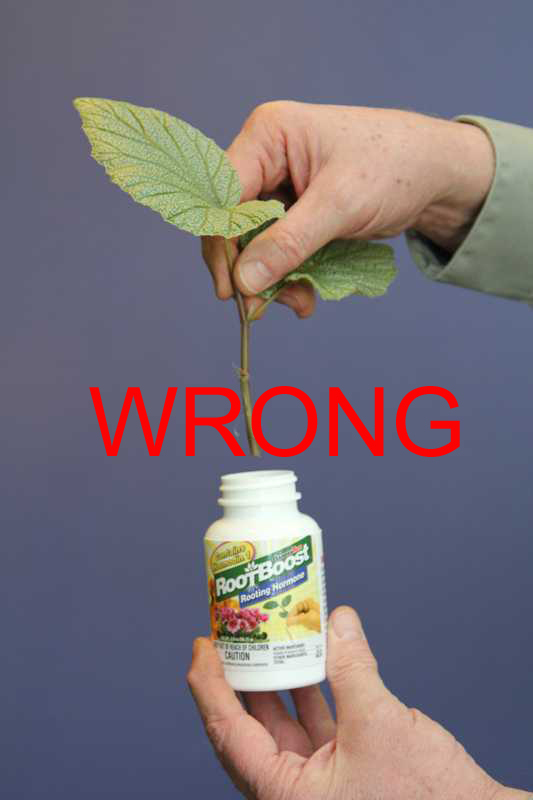 Many easy-to-root plants will not require the use of a rooting hormone but doing so will assure faster rooting. Some plants, such as, citrus, may root very slowly or not at all without the use of a rooting hormone. 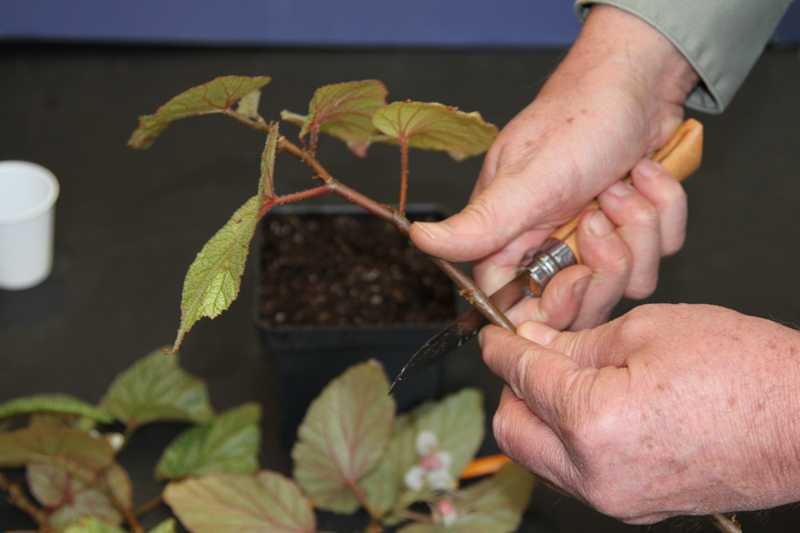 Take cuttings from a plant, such as, a begonia. 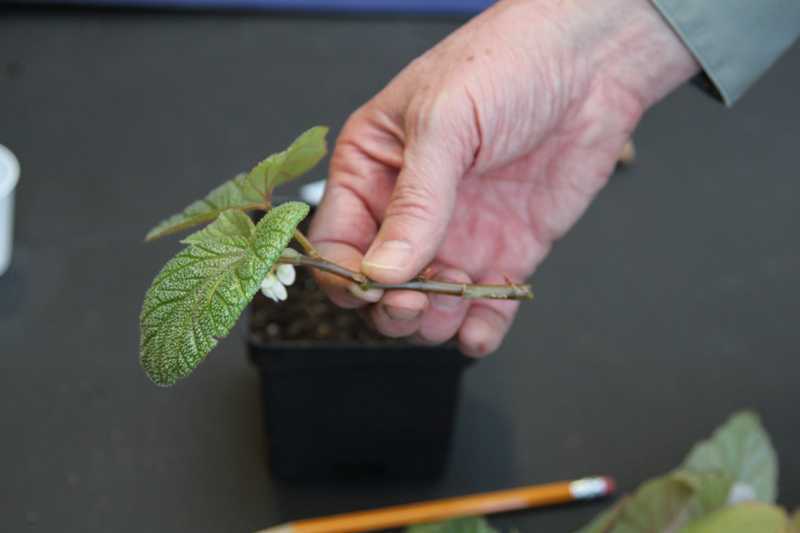 For most plants, cuttings should be between 4 and 6 inches long. 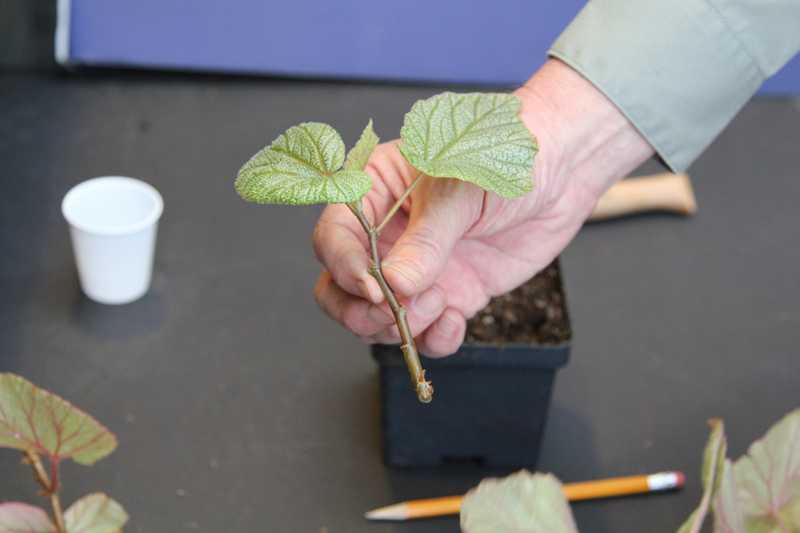 Don’t make your cuttings too large; they will not root well or, if rooted, will become a tall, lanky plant instead of a compact one. Remove the lower leaves but leave the top two or three. 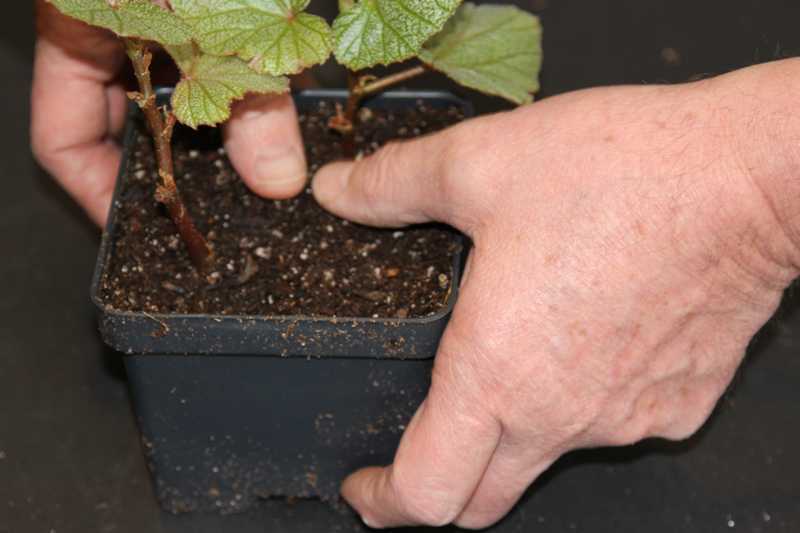 Any part of the cutting that will be buried below the surface of the rooting medium should be free of leaves. Cut back to a node and stripped of lower leaves and flowers, the cutting is now ready for “sticking” into the moist rooting medium. 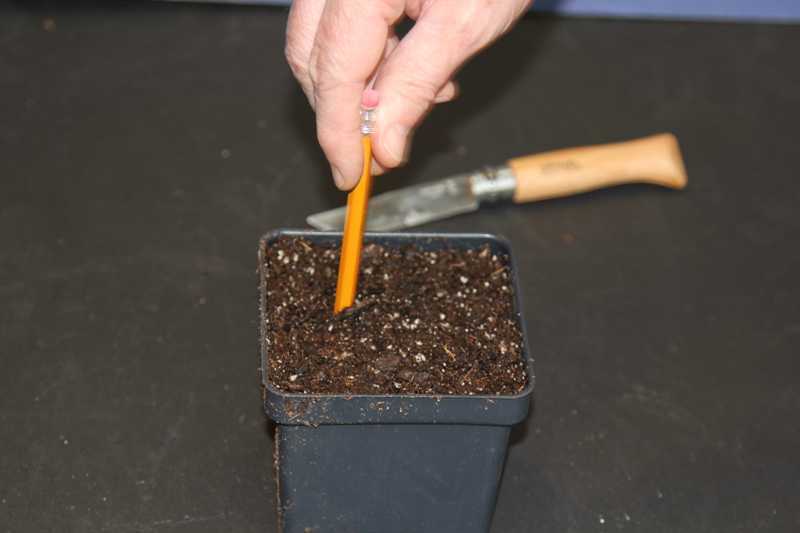 Use an object such as a pencil or dowel to make a hole in the potting mix. 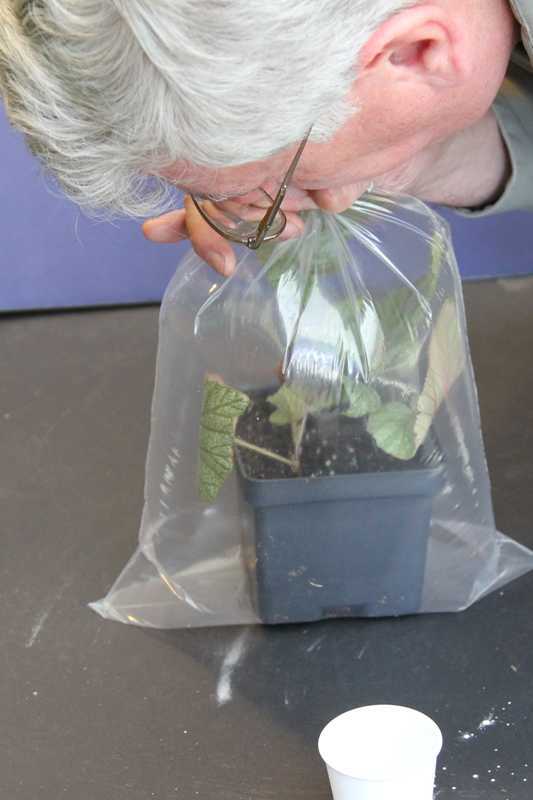 Make the hole larger than the cutting so the rooting powder is not rubbed off when the cutting is placed in the rooting medium. 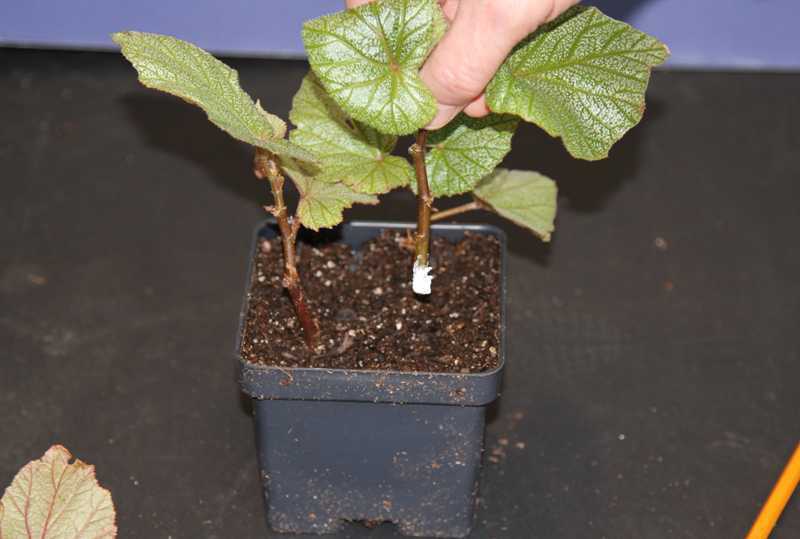 Do not stick cuttings directly into the original container of rooting hormone. The moisture on the cutting will degrade the remaining hormone in the container. 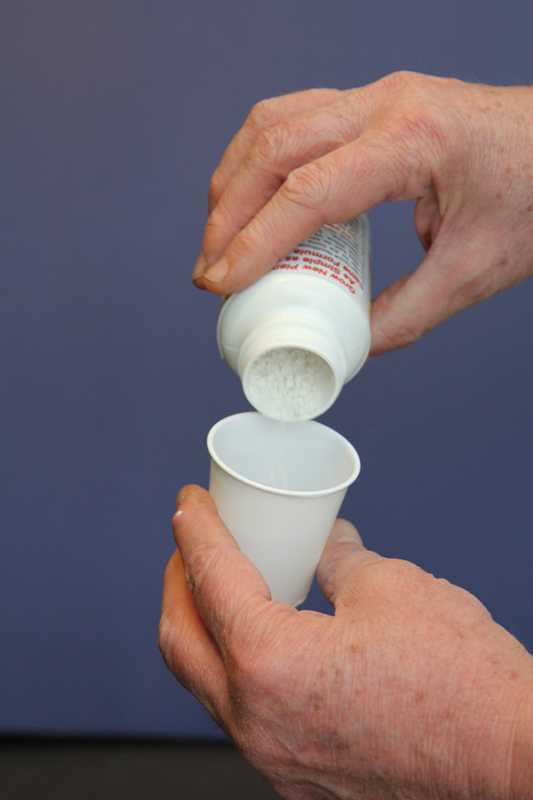 Pour just the amount of rooting hormone you need into a separate container, such as, a plastic cup, and reseal the original hormone container to keep it fresh. Dip the cutting in the rooting hormone and swish it around to lightly cover the bottom 1-1 ½ inches of the cutting. Tap the cutting on the side of the container lightly to remove any excess. 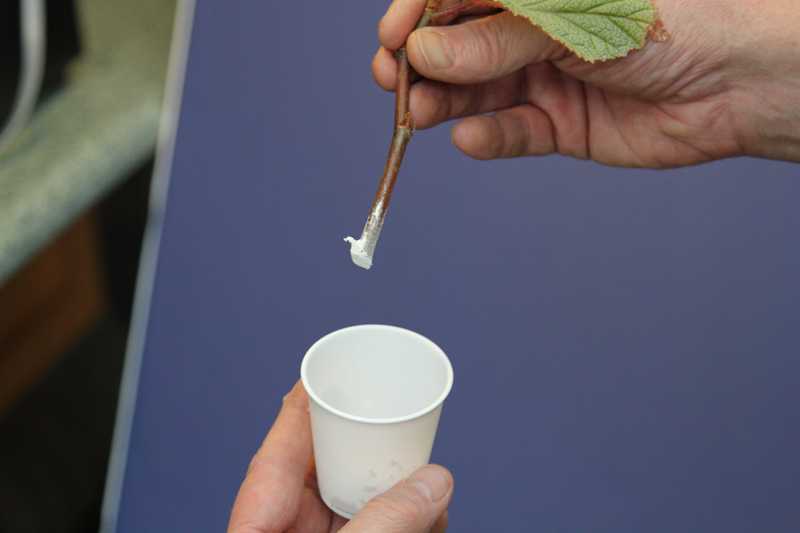 If very little hormone powder sticks to the cutting you may want to dip the cuttings in water first, tap them to remove any excess water, and then dip them in the rooting hormone. 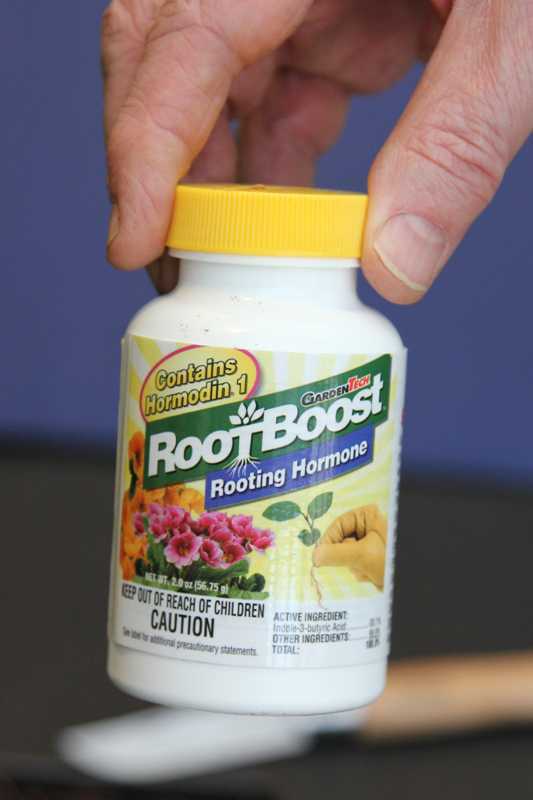 Dispose of any excess rooting hormone in your small container. Do not put it back in the original container. 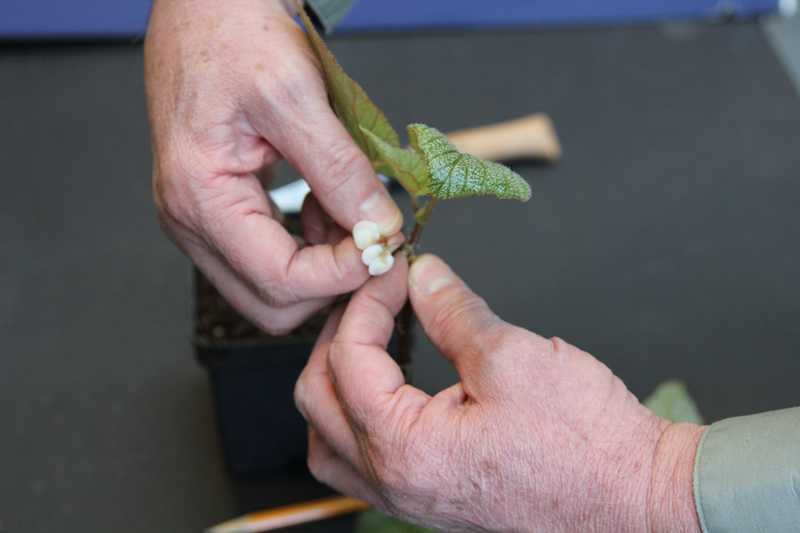 “Stick” the cutting in the rooting medium being careful not to rub off the rooting hormone powder. 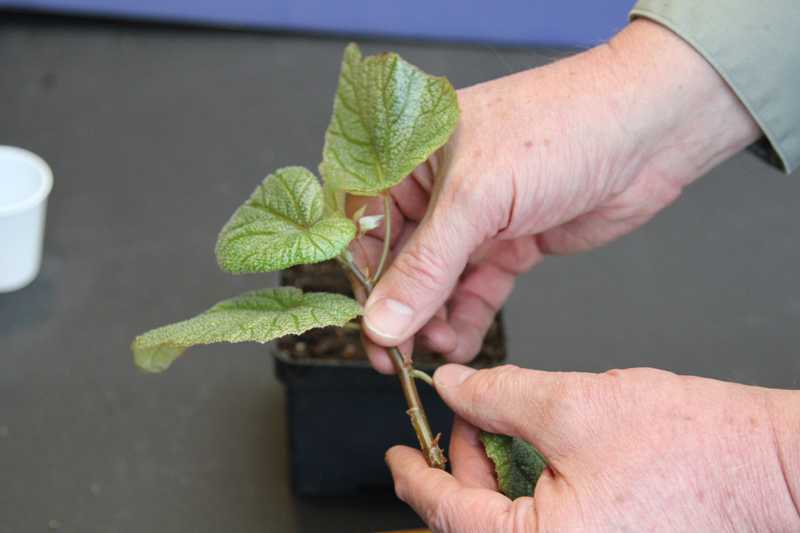 Hint: More than one cutting can be placed into a single pot. 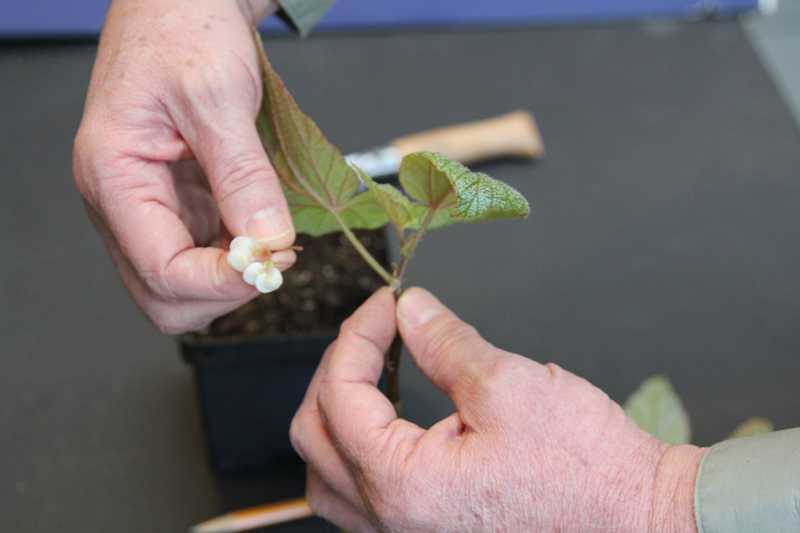 After the cuttings have rooted they can be divided and potted in separate pots. Do not crowd the cuttings, however. Crowding can result in mold and rotting. 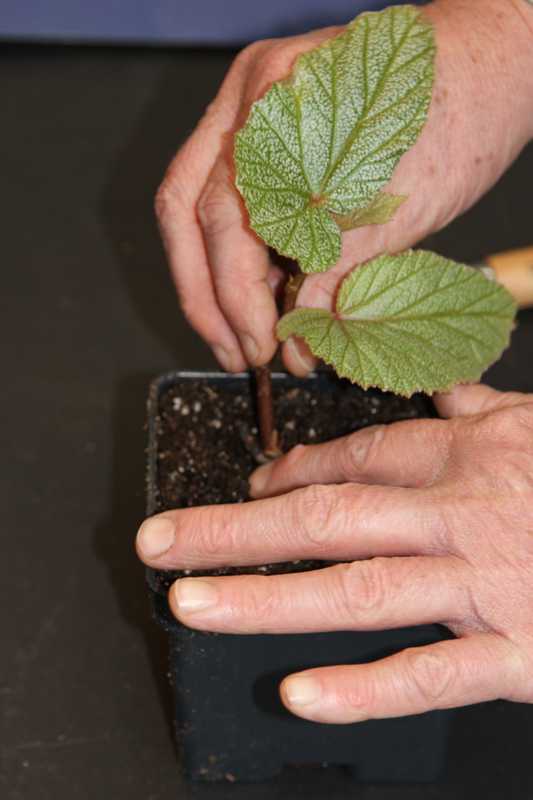 Gently press the medium around the cuttings to provide good contact between the cuttings and rooting medium. Water sparingly to also help provide good contact of the medium with the cutting and provide moisture. 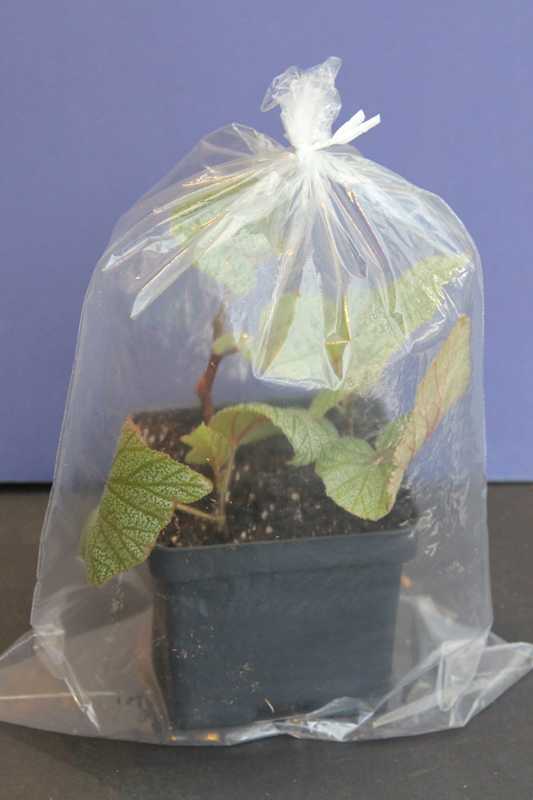 To maintain humidity and moisture, place the entire pot inside a plastic bag. 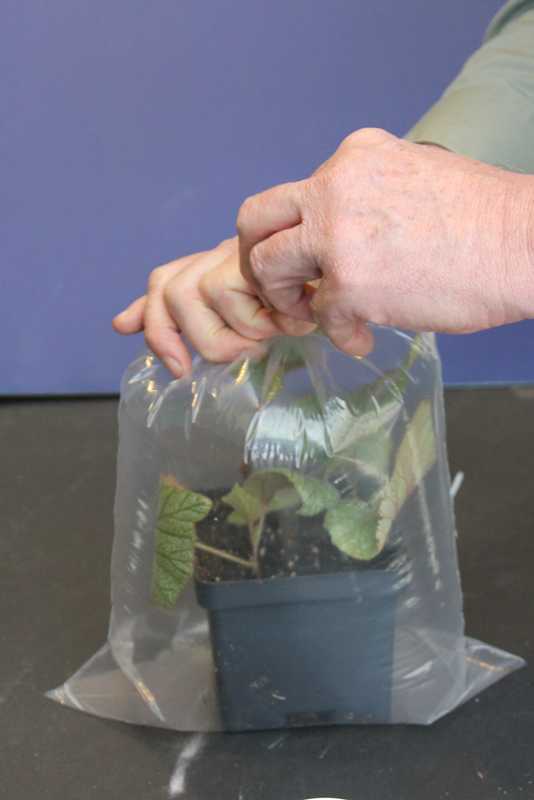 Inflate the bag to keep the sides of the bag away from the cuttings as much as possible. 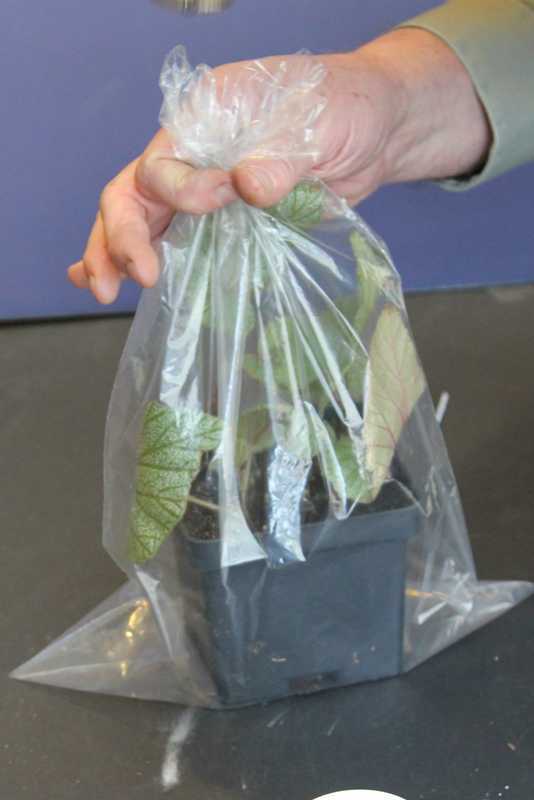 Leaves touching the bag are more prone to develop mold between the leaf and the bag. 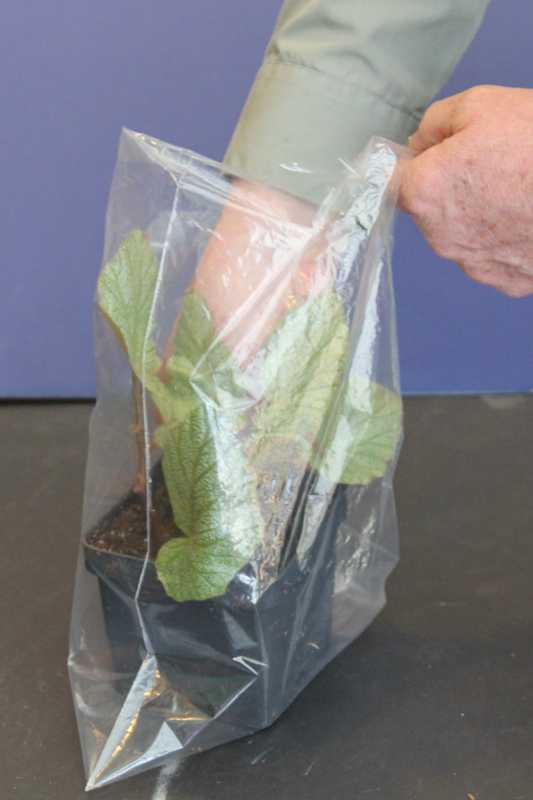 Use a twist tie to seal the bag. 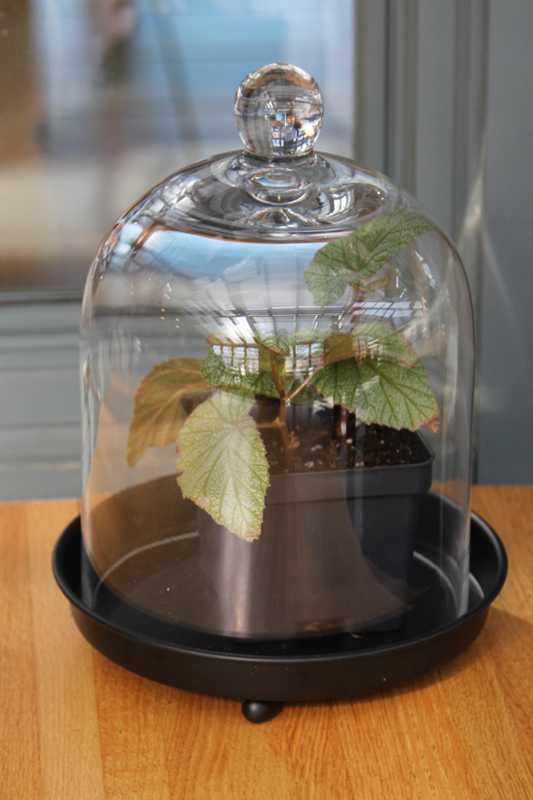 A clear glass bell jar also makes a very nice rooting chamber. 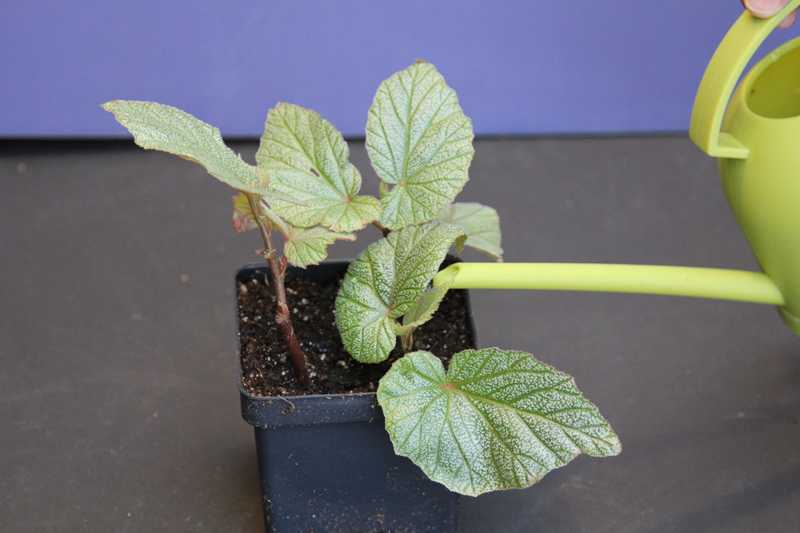 It provides needed moisture but still displays the cuttings in an attractive setting. 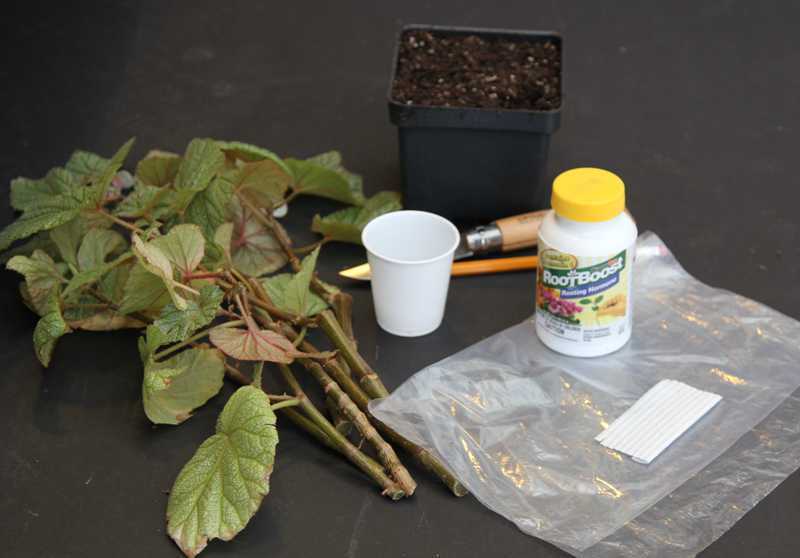 Examine the cuttings weekly to make sure the rooting medium is not drying out. 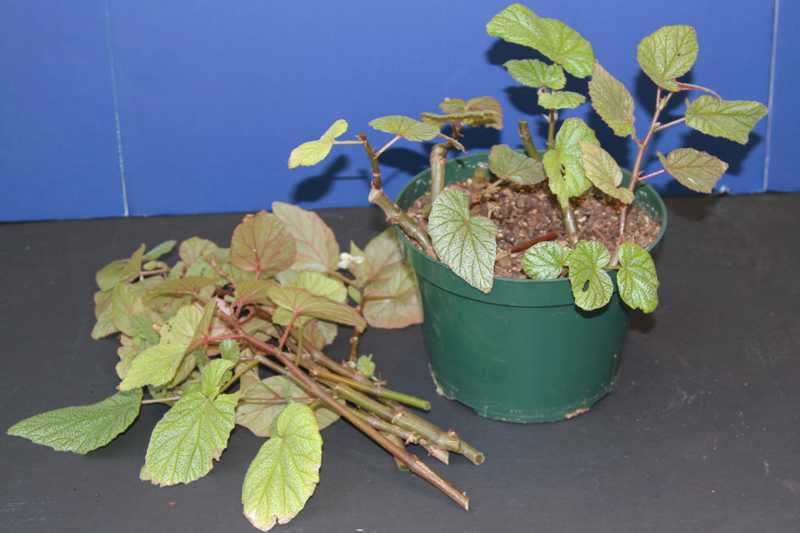 When rooting has taken place (about 3 weeks for these begonia cuttings) separate the cutting and pot them in individual pots.